We are a leading Manufacturer of duplex paper bag and designer paper bag from Delhi, India. Color Available Green,Pink,Sky Blue etc. 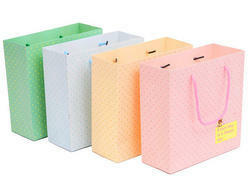 Designer paper bags for high end shops, exhibition ads. Customiozation vailable as per requirement. Order Now. 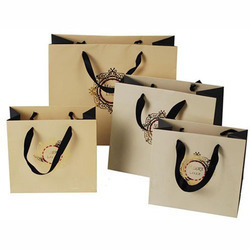 With our opulent knowledge and acquaintance, we are involved in providing a superior quality series of Designer Paper Bag.